All is going well. Slight increase in blood pressure, but no real change. Dr. Borow was unable to get a heartbeat by doppler, so he did a second ultrasound and the baby is clearly visible, wriggling around. 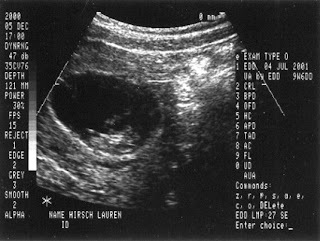 Lauren is nine weeks, five days.